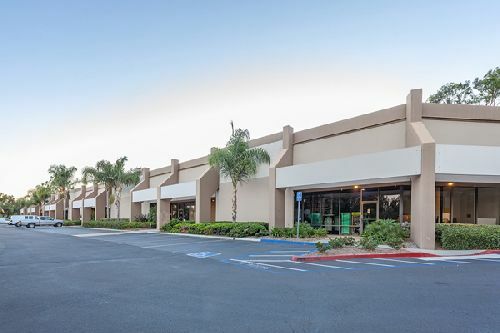 BKM Capital Partners acquired a two-property portfolio in San Diego for $16.6 mil. For BKM, this purchase is one of three recent light industrial multi-tenant portfolio acquisitions, which encompass more than 769.4k sf for a combined total price of $138.7 mil. Each of these three acquisitions was acquired through BKM Industrial Value Fund II, L.P. In this latest transaction, BKM Capital Partners paid $16.6 mil for two properties totaling 99.2k sf. One of the properties is Del Abeto Commerce Center, located at 6352 and 6354 Corte del Abeto in Carlsbad. The other property is Waples Industrial Centre, located at 9540 and 9550 Waples St in Sorrento Mesa. The portfolio is currently 96% occupied with rents that range from 20% to 39% below market rate. BKM plans to update both assets with creative exterior façades, new paint, modern landscaping, and upgraded tenant and monument signage, among other upgrades. Mark Avilla at Cushman & Wakefield represented the seller, 3G Properties. BKM represented itself in the transaction. BKM also acquired the South Bay Portfolio, which consists of five light industrial multi-tenant buildings totaling 221.7k sf in Fremont, for $49 mil ($221/sf). The properties are located at 48430- 48490 Lakeview Blvd, 48500-48560 Fremont Blvd, 48400 Fremont Blvd, 47745-47787 Fremont Blvd, and 47703-47737 Fremont Blvd. Strategically situated off I-880, the assets provide excellent access to East Bay markets to the north, San Jose to the south, and Palo Alto over the Dumbarton Bridge to the west. The property is currently 94% occupied by a diverse range of 13 different tenants with unit sizes ranging from 4.8k sf to 42.5k sf. No single tenant accounts for more than 20% of the property, while rents are also 20% below market value. BKM plans to implement new paint, landscape, signage and spec tenant improvements to modernize the property, while also addressing deferred maintenance. Eastdil Secured represented the seller, Stockbridge. BKM represented itself in the transaction. And in the third deal, BKM acquired a portfolio of four properties totaling 27 buildings and 448.6k sf across California and Arizona for $73 mil ($163/sf). The purchase includes: Fullerton Business Center, located at 4010-4080 North Palm Street in Fullerton, CA; Ramona Business Center, located at 12901-13177 Ramona Blvd in Irwindale, CA; Mowry Business Center, located at 39975-38995 Cherry St in Newark, California; and Baseline Business Center, located at 230-245 Baseline Rd in Tempe, AZ. The portfolio is currently 87% occupied with in-place rents 15% below market value. BKM plans to implement a series of exterior and interior cosmetic improvements to the properties including the addition of multi-tone paint, the modernization of monument and tenant signage and landscaping, and addressing any structural deferred maintenance. Mark Detmer, Bo Mills, and Ryan Sitov at JLL represented the seller, Global Logistics Properties. BKM represented itself in the transaction.